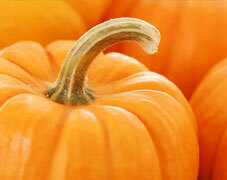 Pumpkin Seed Extract - Promote Prostate Health! Inhibit testosterone action on the prostate, thus treating benign prostatic hyperplasia. Helps both men and women to balance hormones, also used to treat impotence, frigidity and also used as an aphrodisiac. Improve metabolism, digestion and sense of well-being. The carotenoids found in pumpkin seeds, and the omega-3 fats found in pumpkin seeds are also being studied for their potential prostate benefits. Men with higher amounts of carotenoids in their diet have less risk for BPH; this is the connection that has led to an interest in pumpkin seed carotenoids. Zinc is one further nutrient found in pumpkin seeds that might impact prostate function. The fact that pumpkin seeds serve as a good source of zinc may contribute to the role of pumpkin seeds in support of the prostate. Pumpkin seed powder is traditional in Chinese medicine mixed with cold boiled water for oral administration. The 1997 Commission E on Phytotherapy and Herbal Substances of the German Federal Institute for Drugs recommends Pumpkin seed for 'Irritated bladder condition, micturition problems of benign prostatic hyperplasia stages 1 and 2.' 'Average daily dosage: 10 g of seed; equivalent preparations. Mode of Administration: Whole and coarsely ground seed and other galenical preparations for internal uses.' The unique chemistry of pumpkin seeds has been shown in double-blind trials to effectively reduce symptoms of benign prostatic hyperplasia (BPH). Trials in Thailand have shown that eating pumpkin seeds as a snack can help prevent the most common type of kidney stone, called a calcium oxalate stone. Pumpkin seeds appear to reduce levels of substances that promote stone formation in the urine and increase levels of substances that inhibit stone formation. Pumpkin seeds are quite safe for long-term consumption.